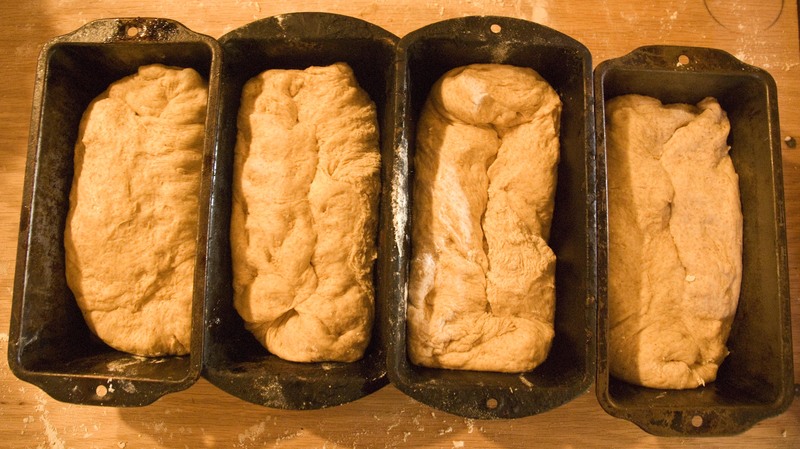 Growing up in my family, bread wasn’t just an everyday occurrence, it was an event. When it came straight out of the oven, we stood around as my mother tipped the loaf on its side and deftly sliced off the end, releasing a puff of steam into the air. No matter what time of day it happened to be, at least half of the first loaf never made it to the cooling rack. Bread, butter, cold glass of milk; this was my childhood. You may think that I grew up knowing how to whip up a batch of my own, but that’s not the case. 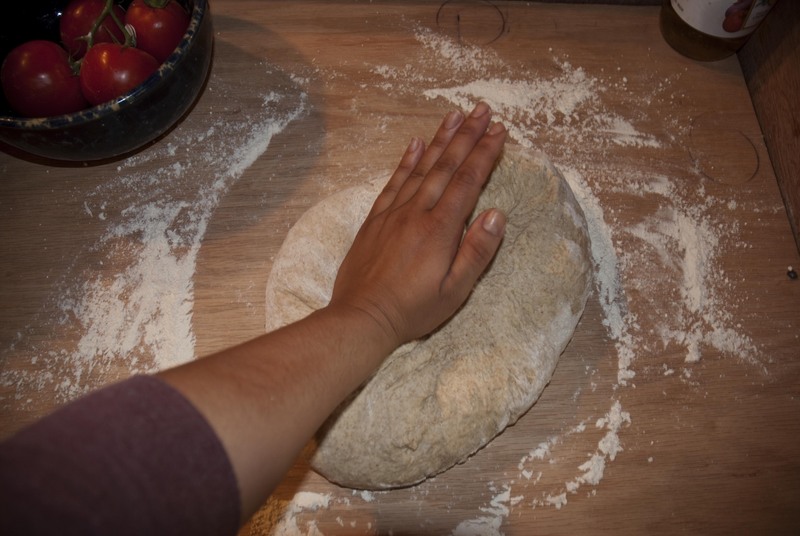 My mother never actually taught me or my sisters how to make bread, and it was always such a part of our lives that we never thought to ask. It was always just there. It sustained us. This past year, I finally asked for a bread-baking lesson. 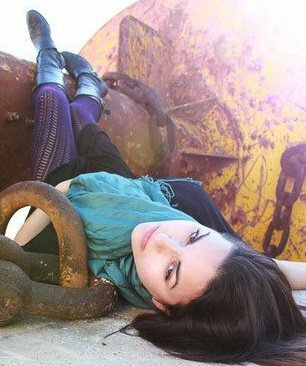 And this is what I got. That’s it! Could it be easier? 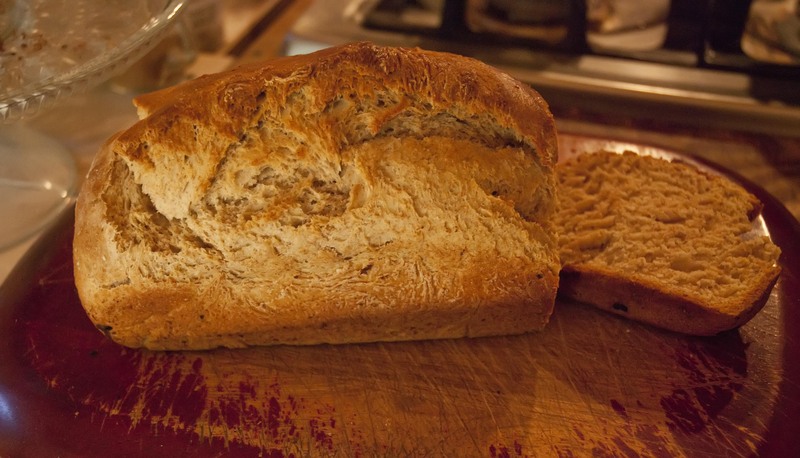 While this bread takes a few hours to make, most of that time is spent rising. Once you get the basic recipe down, you can have it going on in the background of whatever else you’re doing at home. 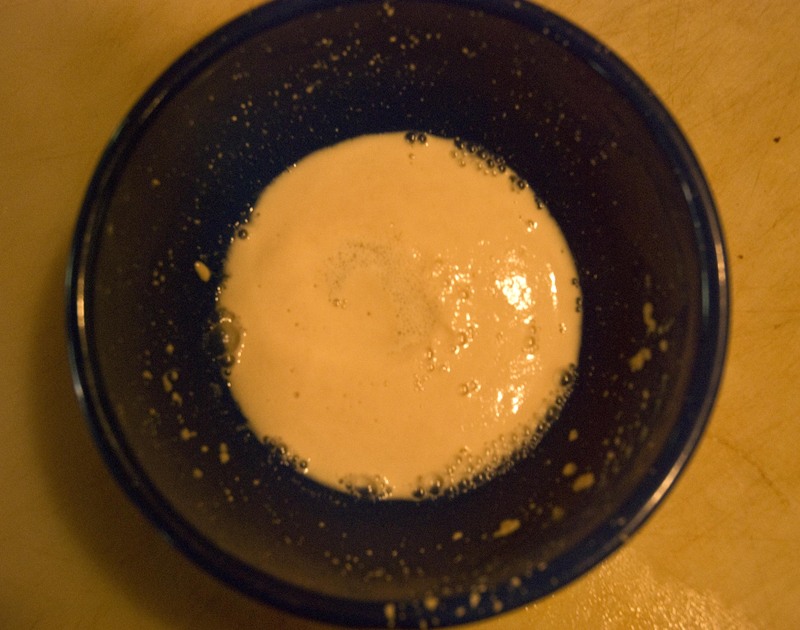 Dissolve 1 T. yeast in about 1/4 c. warm water with 1 tsp. or so of sugar in it. Don’t, I repeat DO NOT make the water too hot. It should be lukewarm. 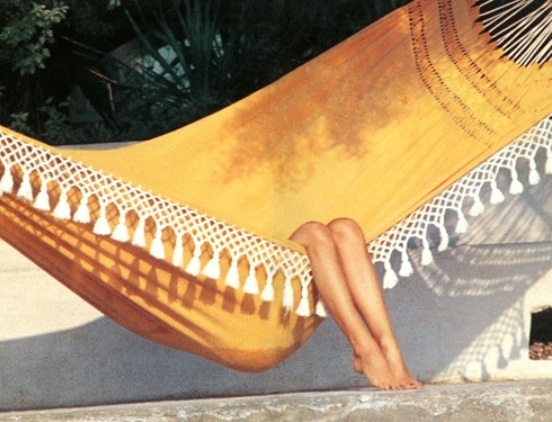 If it’s too hot it will kill the yeast and the bread won’t rise at all. Yeast is alive! In a large bowl combine 1 qt. 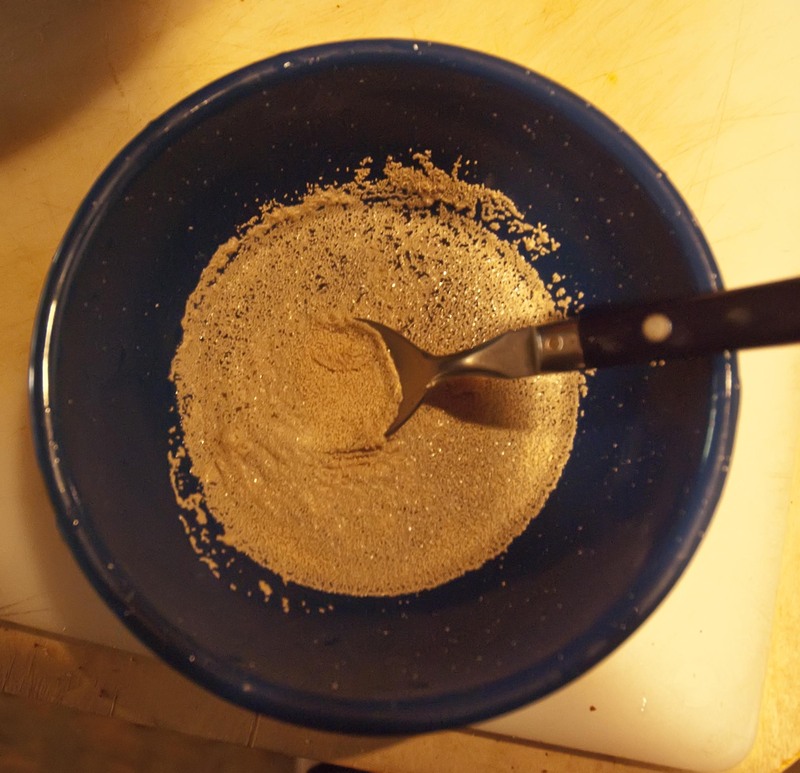 warm water, 1/4 c. sugar, 1/4 c. oil, palmful salt. If needs more flour, add white to board. 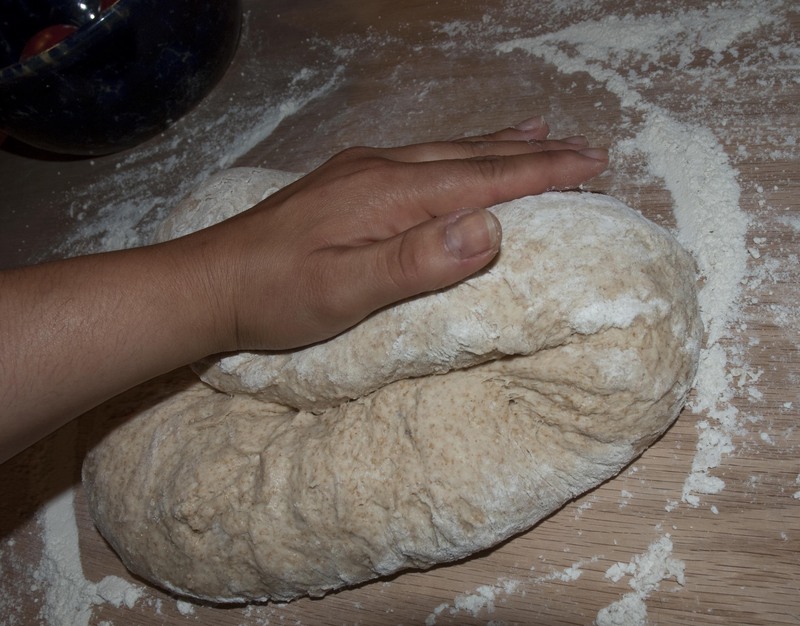 Knead? 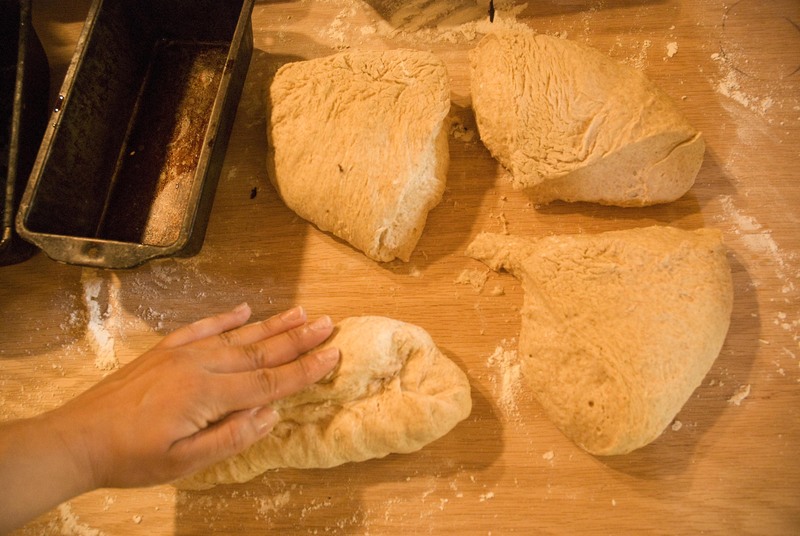 What is “knead,” you might ask? 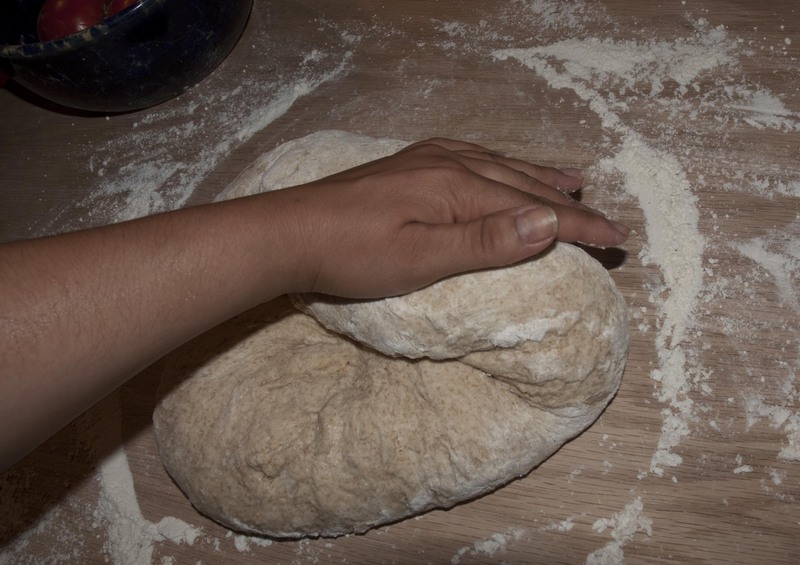 Well, kneading the dough just means pushing and pressing the dough in a rhythmic way to work out all the kinks and get a nice consistency. It’s fun! My mom even says it’s meditative, but I’ll let her work on “Zen and the Art of Dough” by herself. 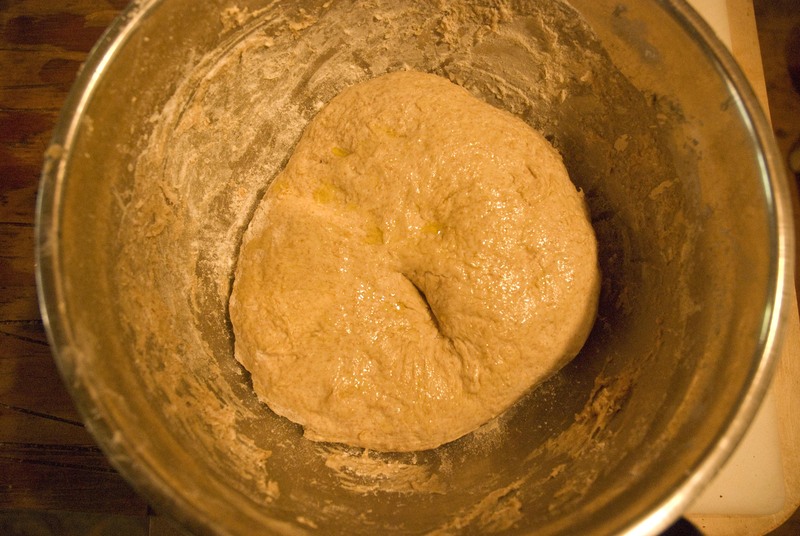 Flour bottom of big bowl, add dough, oil top, put in warm spot to rise till double. This takes a while…like at least half an hour-45 minutes. Forget about it and go do something else! Now for the fun part…you get to punch something! This next step involves a quick second kneading. 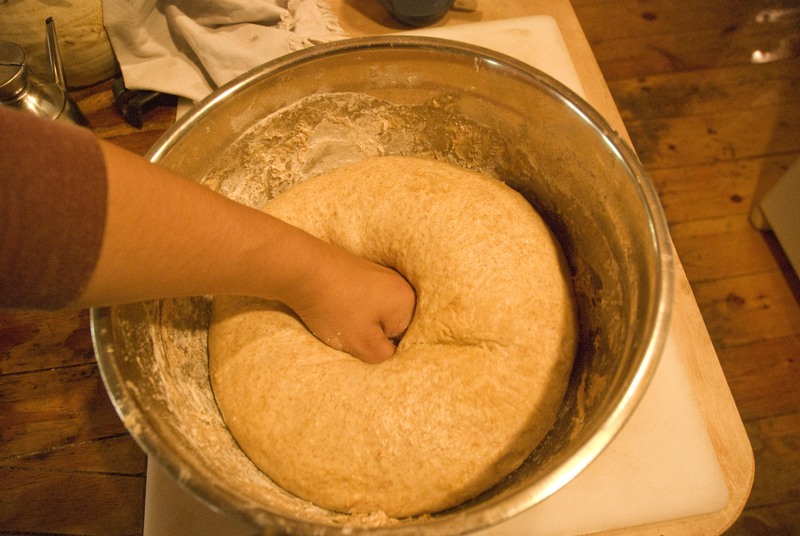 First, punch down the dough. Give it a good wallop. 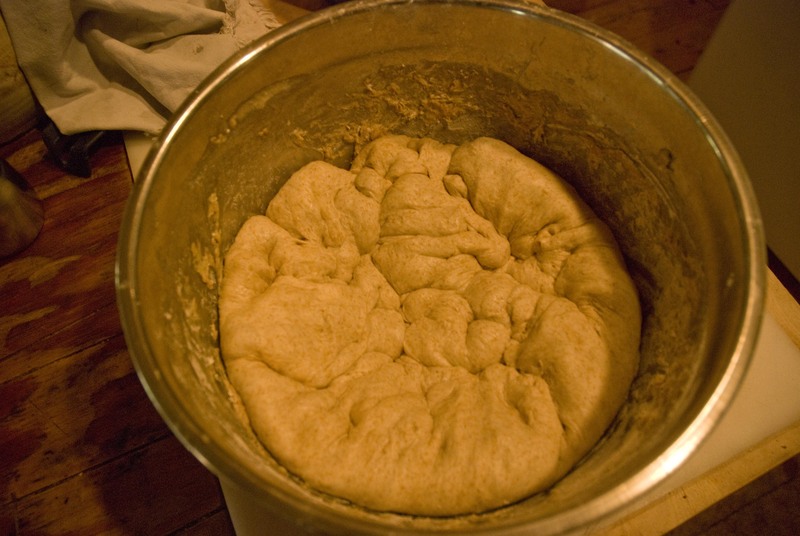 Next, turn the dough onto your floured surface and knead it for a few minutes until it looks something like this. 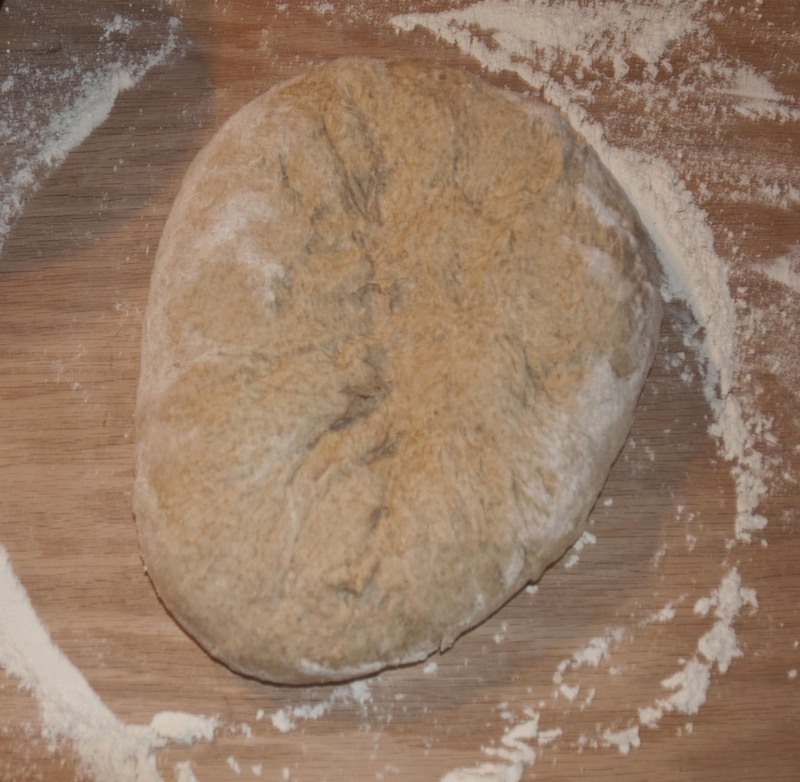 You old kneading pro, you! 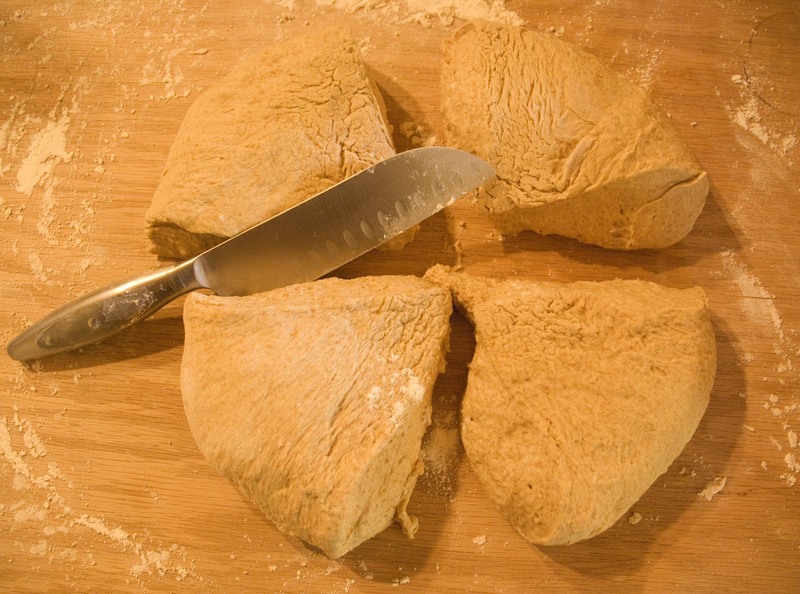 Next, cut the dough into four equal parts and knead each part separately. 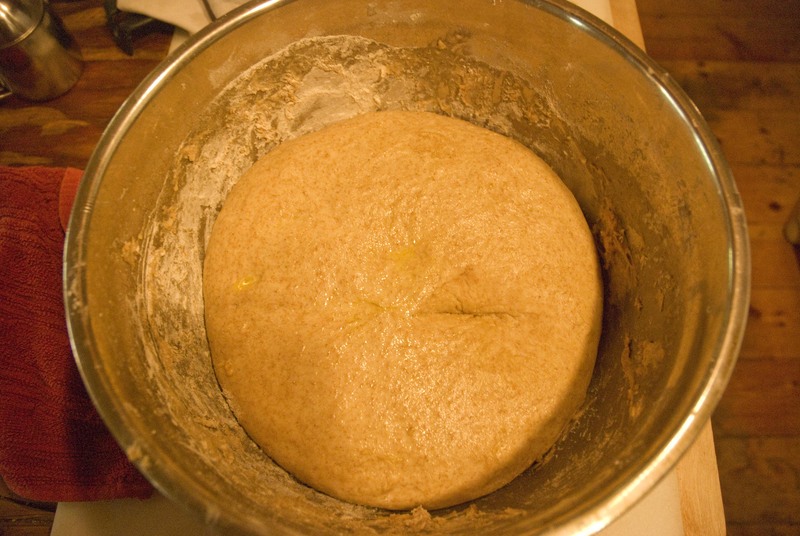 Just knead it enough to form four little balls of dough instead of four triangles. 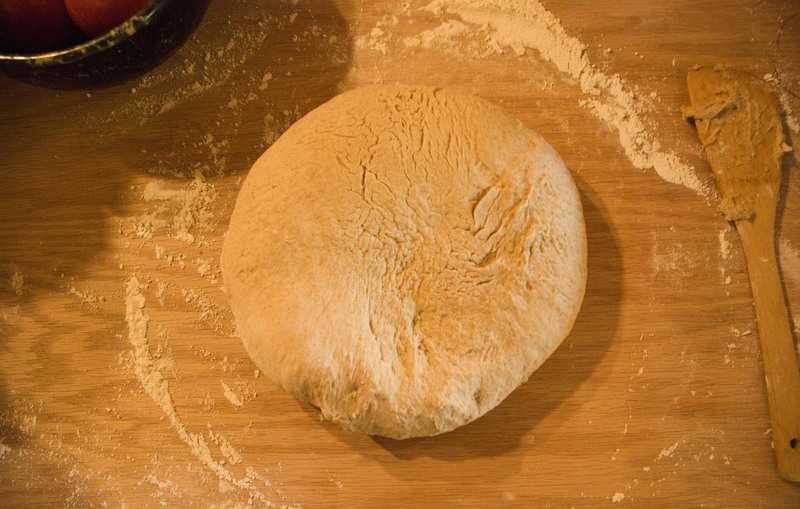 Next, shape your little dough balls into longer, skinnier, bread-shaped formations. Let them rise in the pans for 10-15 minutes, then bake for 25 minutes at 350 degrees. …and that’s it! 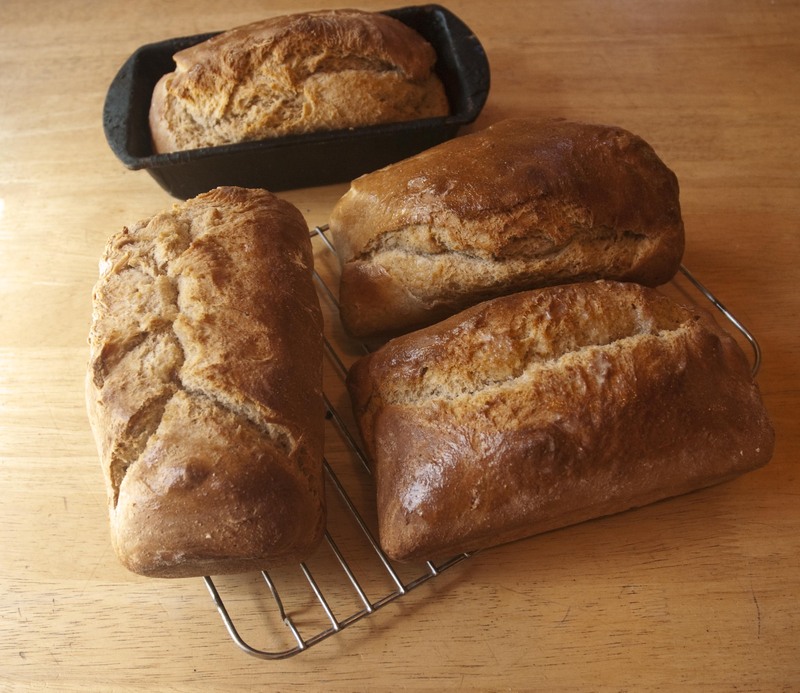 You now have four loaves of warm, delicious and healthy bread. Now take that $5.00(x4) that you didn’t spend on bakery bread and buy something cool! If this is more bread than you need, you can freeze some for later. Just make sure you double-wrap it and check the bag for air-holes or my mom will yell at you. Wash jars: Run jars through the dishwasher or wash thoroughly. Prepare your brine: “Brine”…now doesn’t that sound like the element of a serious project?Nope, it’s just water, vinegar, and salt! To each quart of water that has been boiled and brought to room temperature, add ¾ cup of distilled white vinegar and 4 Tablespoons Kosher salt. 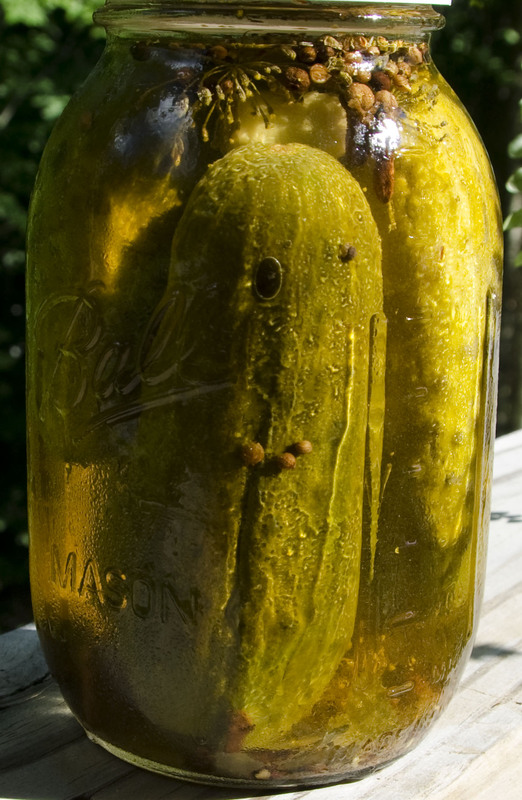 Estimate how many quarts to make depending on how many jars you will pack with pickles. Note: Do not use reactive pots (like aluminum) for making brine. Stick with stainless or glass bowls/pots for pickling tasks. Wash and pack small cucumbers into clean glass jars, into which fresh dill has been layered on the bottom first. Add a dash of crushed red pepper flakes, or 1-2 small hot red peppers cut open lengthwise, plus more fresh dill. Cover with plastic wrap and let stand out until soured, perhaps a couple of days, then refrigerate with lids on. The pickles should last for a few months only (hah, not a chance if you’re a self-confessed pickle fanatic like me). If you do want to store pickles all year, use a recipe that calls for water-bath processing (meaning vacuum-sealed lids). It’s not that refrigerator pickles go bad, necessarily, but they lose that oh-so-important crunch. No one wants a salty pickle so get the right salt! Not all Kosher salt brands are created equal. From Epicurious, the recipe includes dill seed and nutmeg, to the basic recipe. A New York Times recipe calls for lightly toasting the ingredients in a small, dry skillet. This is the one that was used in this recipe. At Taste of Home, they skip the mace.